If you could never find Waldo in a book, good luck spotting him at 150 MPH. Where's Waldo turns 25 years old this year, and to celebrate there are a number of marketing initiatives underway for the hard-to-find guy who only owns one red and white outfit. One ploy involves Waldo hitting the race track this October in the NASCAR race in Martinsville, VA. 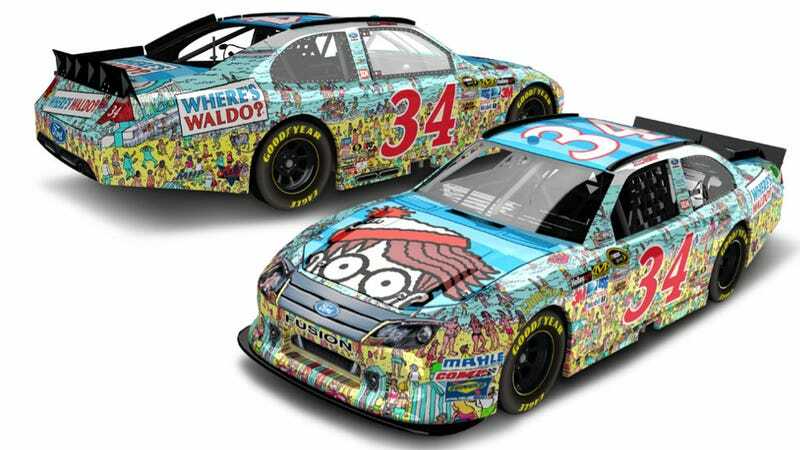 The car will be driven by David Ragan and features Waldo somewhere on the body. There is currently no word if Ragan will have a firesuit that matches Waldo's iconic candy cane style. We bet he wears it. Looks like we'll soon find out if beer goggles and hours in the sun are the real keys to finding Waldo.